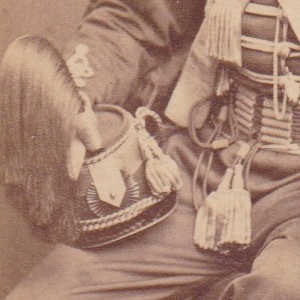 The king shown seated in a chair wearing his uniform. 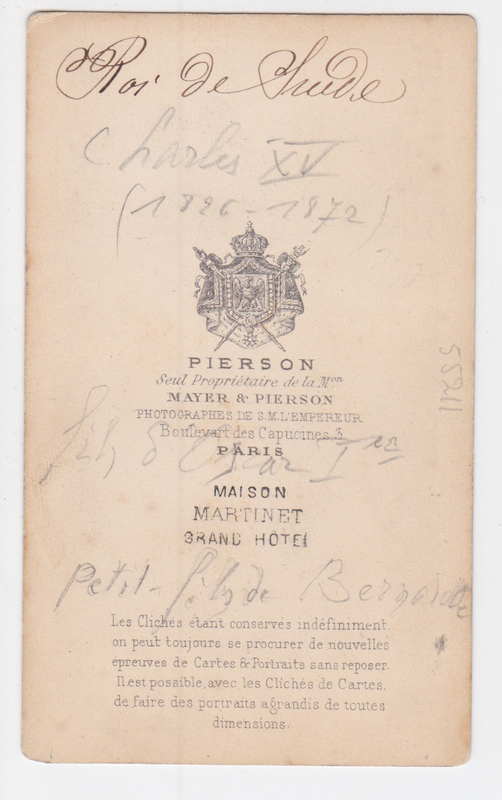 Photographed / published by Pierre Louis Pierson (1822 – 1913) and retailed by Maison Martinet, Grand Hotel. 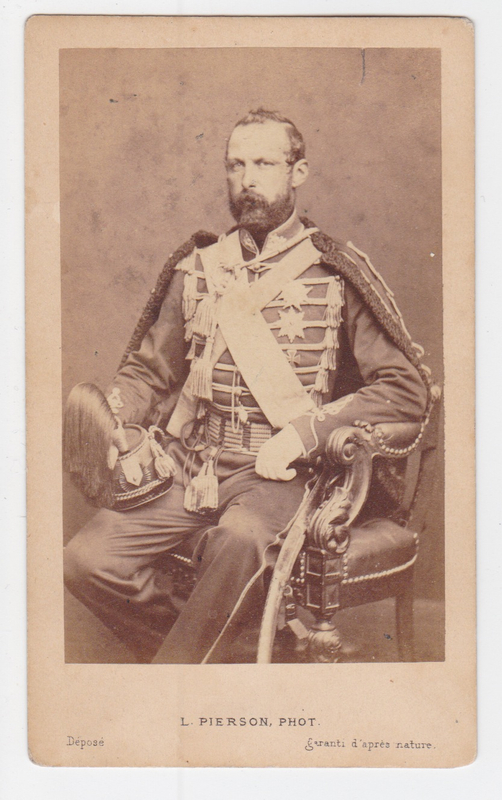 Dimensions: 10,5 x 6,3 cm (card), image slightly smaller.